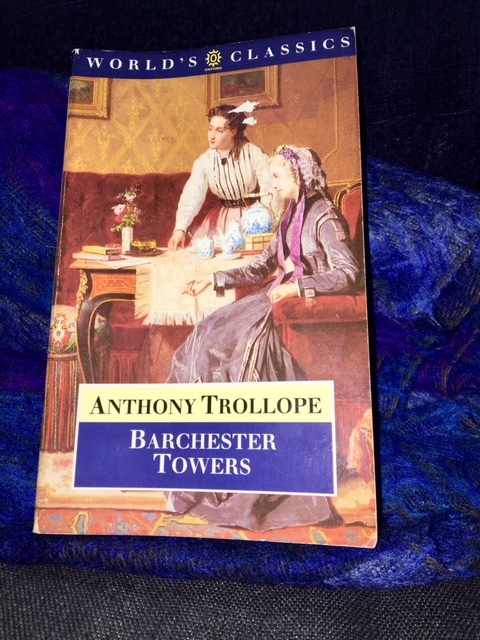 My second piece on Trollope’s Barchester Towers elicited a comment from Karen that suggested she now felt less inclined to read it; maybe it was the way I indicated Trollope is uncharitable in his depiction of the vapid non-heroine, Eleanor Bold. 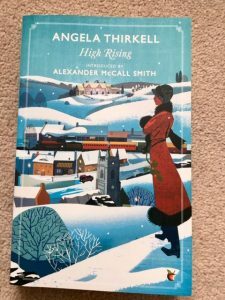 I do hope she isn’t ultimately deterred from reading it, for it provides many pleasures – and Trollope has some more rounded, spirited women characters to enjoy. Mrs Proudie has not been portrayed in these pages as an agreeable or amiable lady. There has been no intention to impress the reader much in her favour. It is ordained that all novels should have a male and a female angel, and a male and a female devil. There was a heart inside that stiff-ribbed bodice, though not, perhaps, of large dimensions, and certainly not easily accessible. She shows compassion in this scene with a desperate petitioner for her assistance. 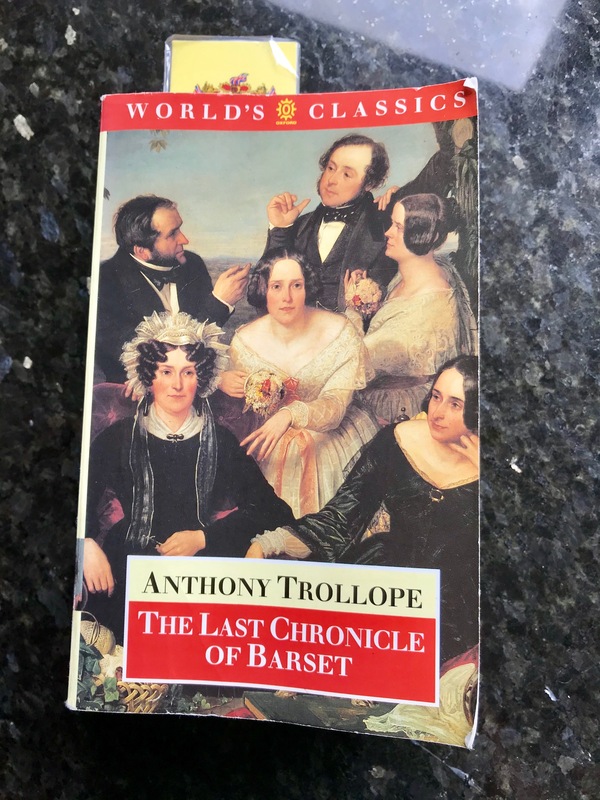 Trollope seems to have learnt some lessons from The Warden, where he tended to castigate just about every character’s moral position except the eponym, Harding, thus weakening the effect of the novel. Here he shows more lassitude towards his villains, as we saw in my discussion of his portrait of Dr Grantly. Our doctrine is, that the author and the reader should move along together in full confidence with each other. As always in these metafictional asides, this is wittily ambivalent. While Trollope does aspire to create a novel that’s more than just ‘sensation’ or suspense-filled, he’s really referring to the love interest that comedies are generically required to dramatise. He’s much more interested in another aspect of the social scheme he’s anatomising in these chronicles. Power. Mrs Proudie wants to dominate her husband and his diocese. But it’s the male ‘devil’ that’s the best part of the novel: Slope. Obadiah Slope is the oleaginous chaplain to the new bishop, a protégé of the formidable Mrs Proudie. He’s another Uriah Heep, even down to the slimy handshake and ‘greasy’ manners. She sees in him a useful tool for converting what she sees as the high church idolatry of Barchester into their own austere low church mode – a struggle that was very much a feature of contemporary ecclesiastical life. He wanted a wife, and he wanted money, but he wanted power more than either. 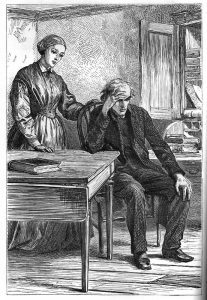 He had fully realised the fact that he must come to blows with Mrs Proudie. He’s ambitious, and has no intention of simply playing ‘factotum’ to a ‘woman-prelate’. 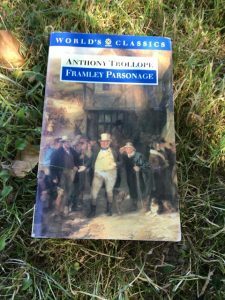 Theirs becomes one of the major power struggles in a novel full of them: ‘Either he or Mrs Proudie must go to the wall.’ This is the kind of conflict that is Trollope’s true zone of interest, highlighted by the prevalent military or pugilistic imagery. Let’s end with another attempt to persuade Karen that this is a novel well worth reading. 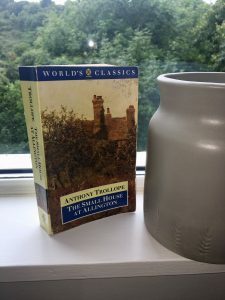 Not all of Trollope’s women characters are shallow, lacking in judgement or excessively masculine. Madeline Neroni, née Stanhope, second child of the cathedral prebendary, is a woman of ‘surpassing beauty’ and a wickedly gifted sexual predator. In Italy she’d chosen a husband badly, ending up crippled, possibly by him, and leaving him to return to her family. She had become famous for adventures in which her character was just not lost, and had destroyed the hearts of a dozen cavaliers without once being touched in her own. Though heartless, the Stanhopes were not selfish. So she engages her ‘peculiar female propensities’ to ‘entrap’ Arabin ‘into her net.’ She had not taken much pleasure in the ‘chase’ for Mr Thorne: he was, like pheasants, too easy to pick off, and ‘not…worth the shooting’; he’s just worth ‘bagging for family uses.’ This is not the malicious characterisation that we saw with Mrs Proudie or Eleanor – there’s wit and animated narrative interest and investment in these scenes; this woman is attractive because she’s formidable and beautiful. She snares men because she can, because they’re generally weak, and because she enjoys it as her favourite pastime – ‘she has little else to amuse her’. But she has, like Mrs Proudie, a vestige of a heart. The occupant in return stared hard at the countess. But she had now to do with one who cared little for countesses. It was, one may say, impossible for mortal man or woman to abash Madeline Neroni. She opened her large bright lustrous eyes wider and wider, till she seemed to be all eyes. She gazed up into the lady’s face, not as though she did it with an effort, but as if she delighted in doing it. She used no glass to assist her effrontery, and needed none. The faintest possible smile of derision played around her mouth, and her nostrils were slightly dilated, as if in sure anticipation of her triumph. That ‘one may say’ is priceless. The countess ‘had not a chance with her.’ She makes a humiliated, enraged retreat. 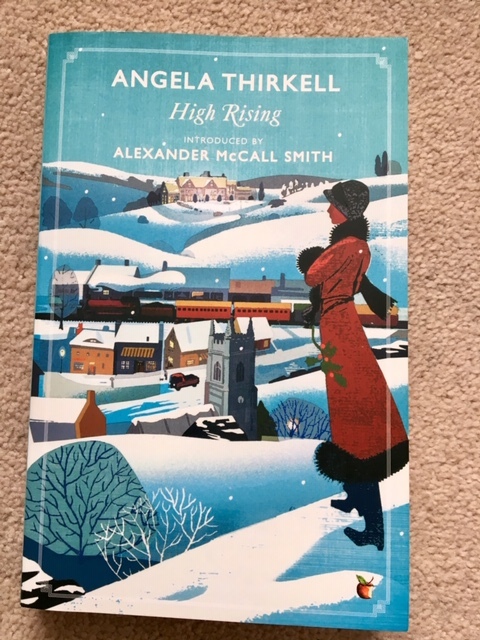 This novel is worth reading for the gloriously selfish character of Madeline alone – she makes Becky Sharp look like a nun. She makes mincemeat of the odious Slope, too, so she can’t be all bad. Back from my short break in the city of my alma mater, Bristol – maybe more on that another time. For now, I’d like to look at another early chapter – ch.2 – of Barchester Towers. 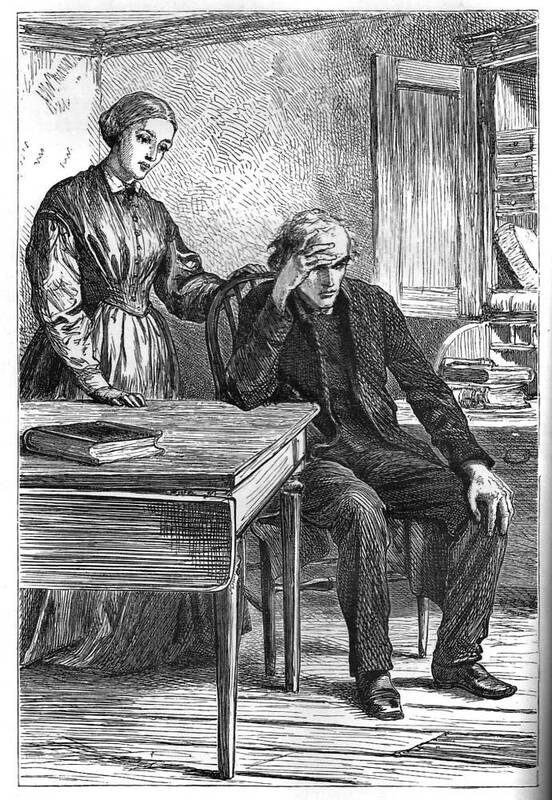 Last time it was the ironically ambivalent portrayal of Dr Grantly I examined; Trollope was careful in The Warden to establish him as not exactly a villain, but in pressurising the saintly warden Harding not to follow his conscience and resign from his lucrative post he was shown to be more adherent to the reputation of the institution of the church than to the moral rectitude of his father-in-law. But as we saw, he is not the villain of this novel; he is still to come. Poor Eleanor! I cannot say that with me John Bold was ever a favourite. I never thought him worthy of the wife he had won. But in her estimation he was most worthy. Hers was one of those feminine hearts which cling to a husband, not with idolatry, for worship can admit no defect in its idol, but with the perfect tenacity of ivy. So she’s a ‘parasite plant’ that follows the defects of its host; she clung to her husband, faults and all. Once she had declared such ‘allegiance’ to her father; she then transferred that allegiance to her husband, ‘ever ready to defend the worst failings of her lord and master’. Could she even have admitted that he had a fault, his early death would have blotted out the memory of it. She wept as for the loss of the most perfect treasure with which mortal woman had ever been endowed…consolation, as it is called, was insupportable, and tears and sleep were her only relief. Our narrator does not hold her in very high esteem, then. There’s an element of sarcastic mockery here that’s maybe not to every reader’s taste. She’s portrayed as irrational, over-emotional, needy and useless without the support of her more sturdy (though deeply flawed) spouse. More to the point, Trollope is lining up his characters for what’s to come; we expect in a social-pastoral comedy like this to have a love interest at the heart of things, but Trollope obliges caustically. He’s ensuring that we have little trust in Eleanor’s judgement or moral rigour so that when several potential husbands appear on the scene, he’s able to tease out the plot as a consequence of that poor judgement. She leans, in other words, to the wrong man…twice. But this narrator isn’t too interested in the romantic element; he even warns us at an early stage when the rival suitors are established which ones she won’t end up marrying. Romantic suspense is not his priority. So what is? More on that next time. It involves a lot of military metaphors.